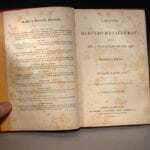 This remarkable early 1860 book (written over 160 years ago!) is 179 pages of solid, interesting information. It is remarkable how much of it remains useful and interesting. 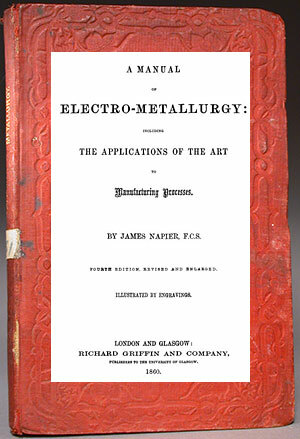 The author was a pioneer in using electroforming for making things, and contributed to what was then an emerging field of science and art. This book is as original as it gets. The insights (such as electoforming is the result of accidental observations) are pithy, strong and incredibly early. If you are interested in the history of our field this is a must-have book. Really interesting stuff. The book begins with Voltare’s invention of the battery, and then other battery improvements and inventions. 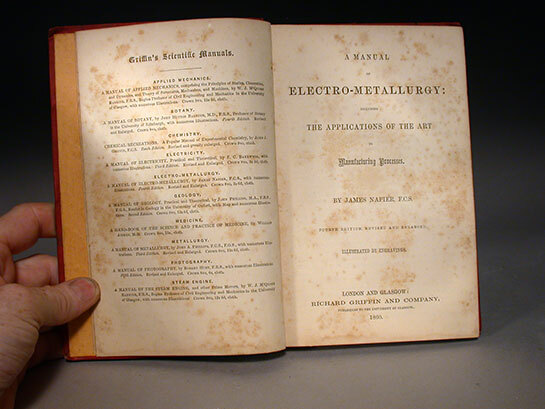 This is truly the beginnings of electroplating and electroforming and it details who did what and their developments and innovations. Really cool. Real history, as not seen elsewhere. Real details about how things were invented. Quite unique, and political, and personal in its observations. There are many reports of experiments from different people, in detail, and with comments. This is a wonderful window into innovation and research. We are talking actual research reports, in earthy detail. 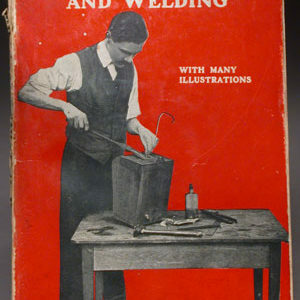 If you are interested in electroforming this early information is gold. No other book I have ever seen has this kind of original research information. Much of the book is a synopsis of different researchers reports, an incredibly useful distillation of information. The section on batteries is again of great interest to technophiles. You will not find this kind of documentation elsewhere. Like lots of it. If you ever needed to re-invent batteries in a post apocalyptic world this book would be a go-to source. If there was a book on the history of battery development this one is a contender. At the time this was written there was no other way of obtaining electricity than using batteries. The principles of electroforming hold good today, and are really well elucidated. Making molds of objects by electroforming is extensively dealt with. The section on molds covers all kinds of approaches, many still useable and some forgotten methods. Really interesting molding techniques, a most thorough description of molding methods, using treacle, rubbers, all kinds of materials. Electroforming into molds, and making the mold conductive (the frequently mentioned ‘black lead’ is graphite) is dealt with. 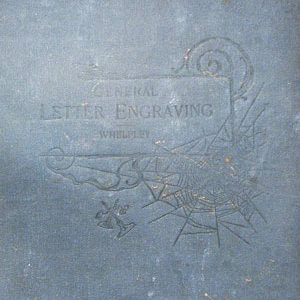 There are a number of printmaking techniques using electroforming which are described. 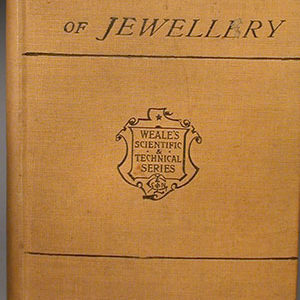 There is an excellent chapter on patination and bronzing (browning) metals. There are a number of methods for getting browns on bronze (or copper) I have not seen before, such as a strong sugar solution to make a green on bronze. If you have any sense of chemistry, or electro-motive potentials (not known or understood at this time) then some of the explanations of what is happening chemically are a little simplistic, or off, but still reflect accurate observations and what happens exactly. This is so early that the actual making of many of the chemicals for plating are described: the section is very extensive (remember that safety was a new idea at the time and you had better know chemistry and have a fume hood before trying any of these!). There are a number of recipes and experiments reported for coating iron with copper and other metals. Silver and gold plating are dealt with in depth, including making the solutions for plating. There are several recipes for non-cyanide silver plating solutions. The gold plating solution making is very interesting. 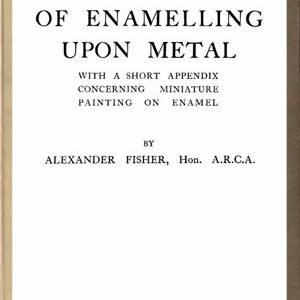 There is an interesting description of making Sheffield Plate and of the arguments between its makers and the new electroplating. There is a fearsome chapter on safety and the horrible effects on workmen of using these chemicals, including the author’s own experiences. There is a very unique chapter on plating with other metals. Any metallurgist or chemist would enjoy this book.